New Delhi: An upcoming theatre festival will give Delhiites a sneak-peek into Odisha’s rich cultural heritage. ‘Natyaparva’, that begins on October 6 here, with celebrate all things Odia, including the state’s theatre, handicrafts, music and dance, as well as gastronomical delights. 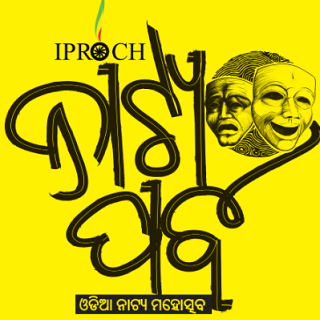 The 3-day festival organised by Institute for Promotion and Research on Odisha Culture and Heritage (IPROCH), will be held at the NCUI Auditorium here. “Natyaparva will be a unique festival celebrating the theatre of Odisha and may other facets of it. Odisha is a land that harbours a thriving theatre culture unique in itself. “The festival will not only be loved by the people of Odisha but it will also fascinate the non-Odias living in the city,” Sangram Dhar, secretary of IPROCH, said. Thematic plays on social issues such as development and gender will be staged for three consecutive days, along with an adaptation of William Shakespeare’s iconic tragedy “Macbeth”. An array of Odia language films will also be screened. For foodies, the festival promises to be a treat with chefs cooking up signature dishes from the eastern state — from dahibara and chhenapoda, to dilbahar sarbat and more. The carnival will also feature exquisite handicrafts and textiles from Odisha, that is best known for its silk ikat weaves. The festival, this year, also aims to promote young talents. For instance, a documentary film “Curse or Apathy — The Healthcare Economics of Kalahandi district” by a young girl Anwesha Brahma will be released. “Our effort has always been to unite young talents and established artists all over the world to be a part of this show. “This is a small attempt to connect the Odia diaspora and also spread our culture amongst the non-odiyas,” Sangram Dhar said. The curtains of the festival will come down on October 8.
theatre festival will give Delhiites a sneak-peek into Odisha's rich cultural heritage.